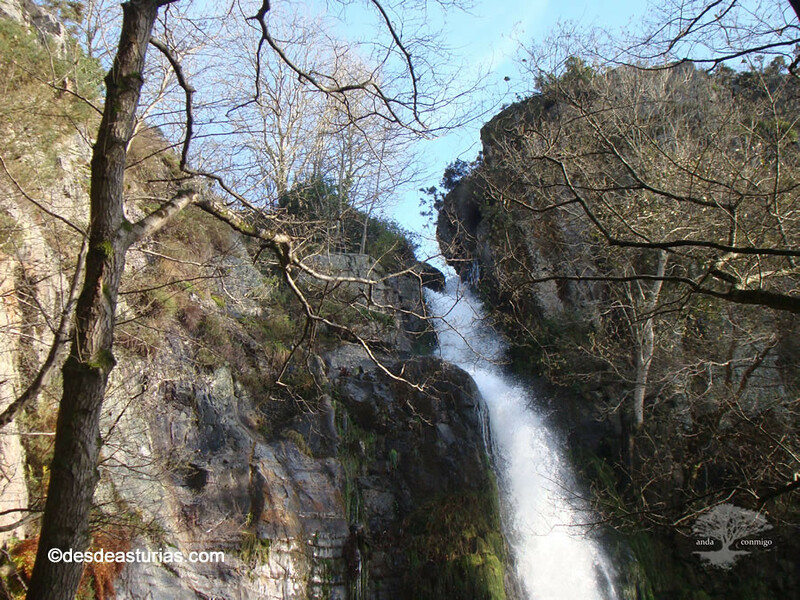 To reach one of the most imposing natural spectacles of Asturias we will only have to walk one hour, half an hour to arrive and another half to return. 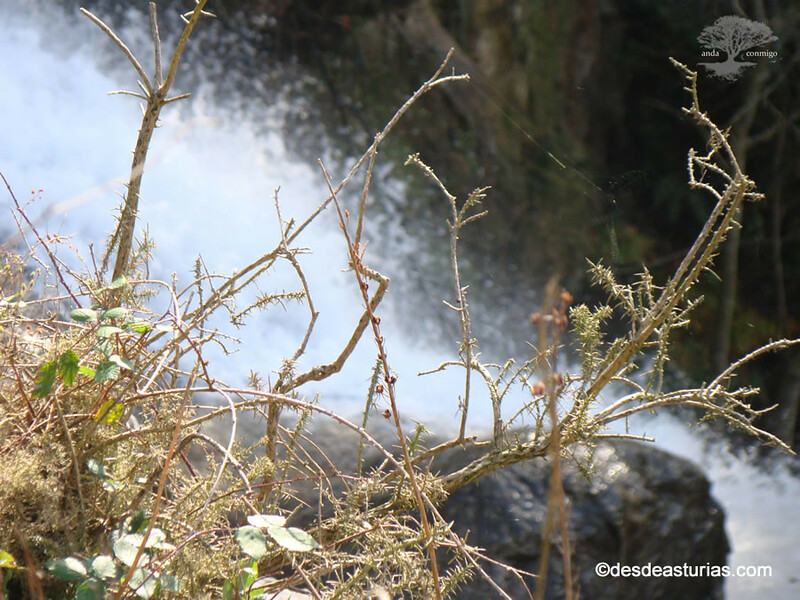 Although perhaps the excursion can last much longer, admiring the waterfalls of Oneta in all its landscape dimension will take a little more time. 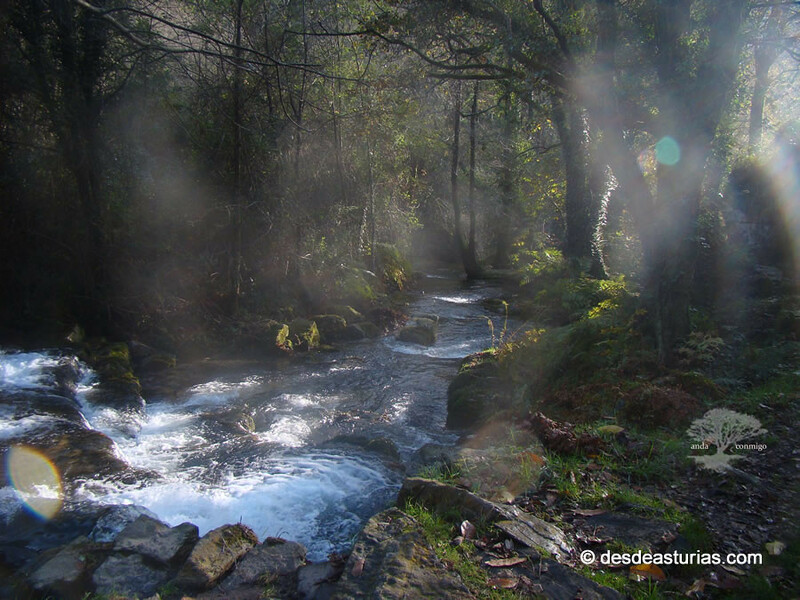 The Asturian rivers have specialized in leaving us unforgettable images. Obliged to save enormous unevenness, they offer a great erosive capacity, digging in their path a multitude of sickles, canyons and gorges. 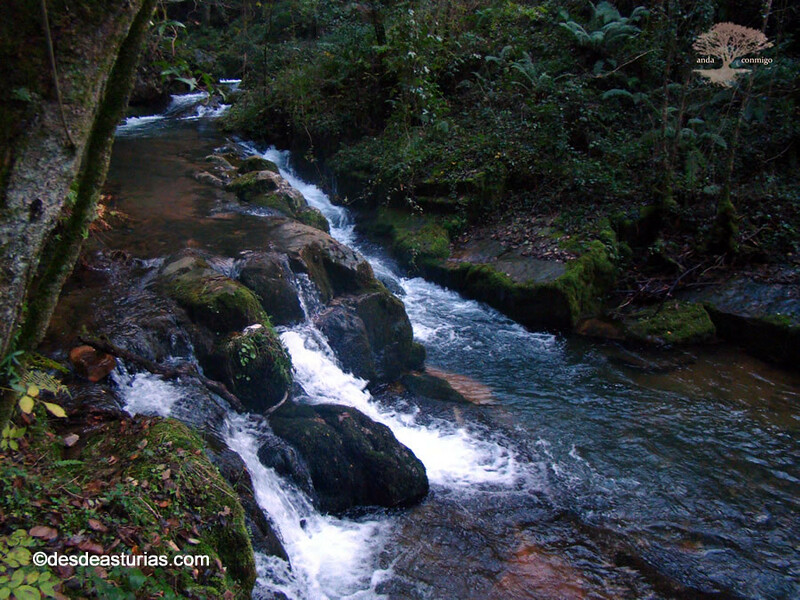 Because of its beauty and uniqueness, the network of protected areas of Asturias includes these waterfalls of the municipality of Villayón, a set of three waterfalls that are staggered in a few meters, marking the course of the Acebo River that runs between rocks and numerous wells. Some, like the Diablu, have great depth and dangerous whirlpools inside. Suddenly, the current plunges vertically through a height around fifteen meters, forming a cascade of spectacular beauty. 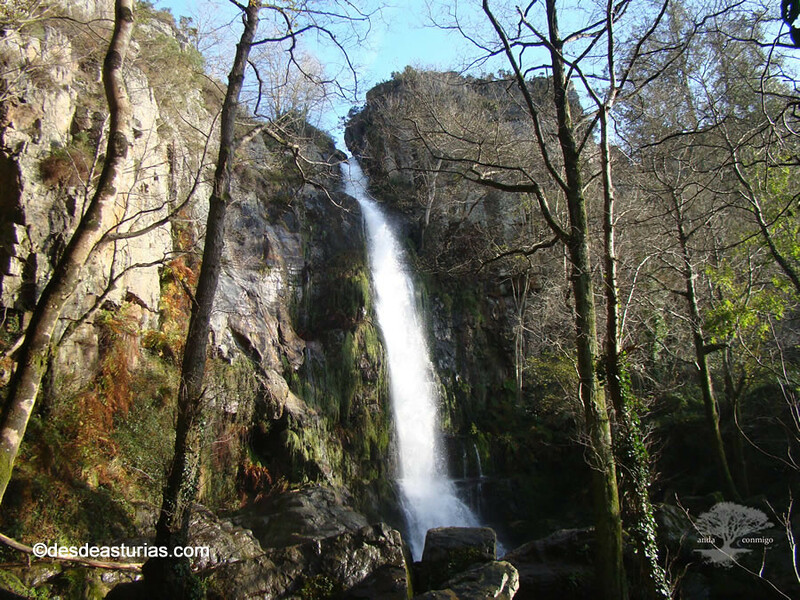 It is the waterfall of the Firbia, the most accessible and impressive of the three. Around it the continuous precipitation of rocks has formed a circus on which the waters break rudely. 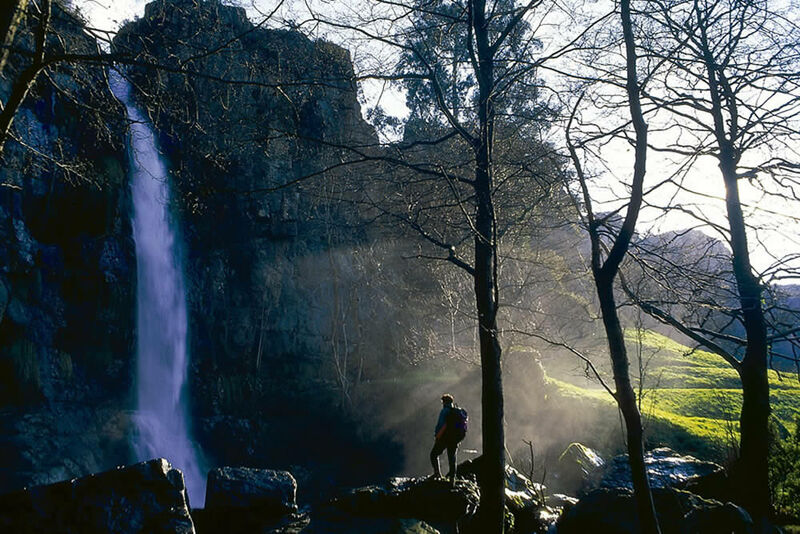 The constant sound, of great acoustic power, is accompanied by a wind effect that impresses, continuous bursts of air that are the invisible result of this great waterfall down ravine. The walls of the rock are densely covered with mosses and ferns. 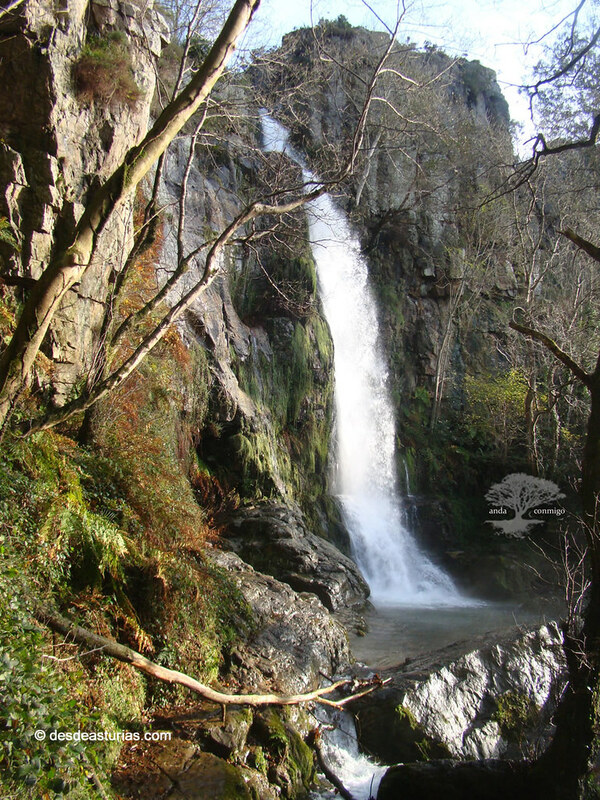 The waterfall is surrounded by oaks, birches and chestnuts and on its right margin there is a canal that in ancient times supplied several mills. 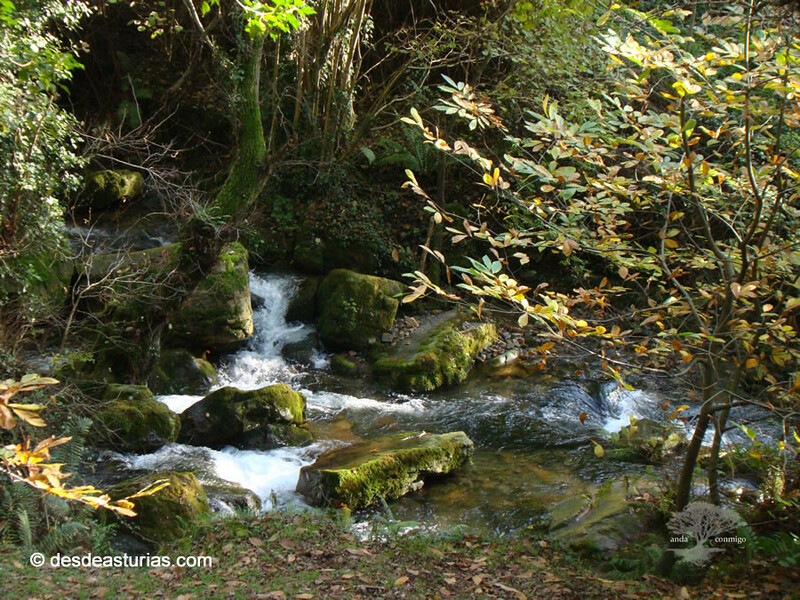 We are, then, in a privileged location to appreciate that close relationship between the Asturian landscape and its ethnography related to water. 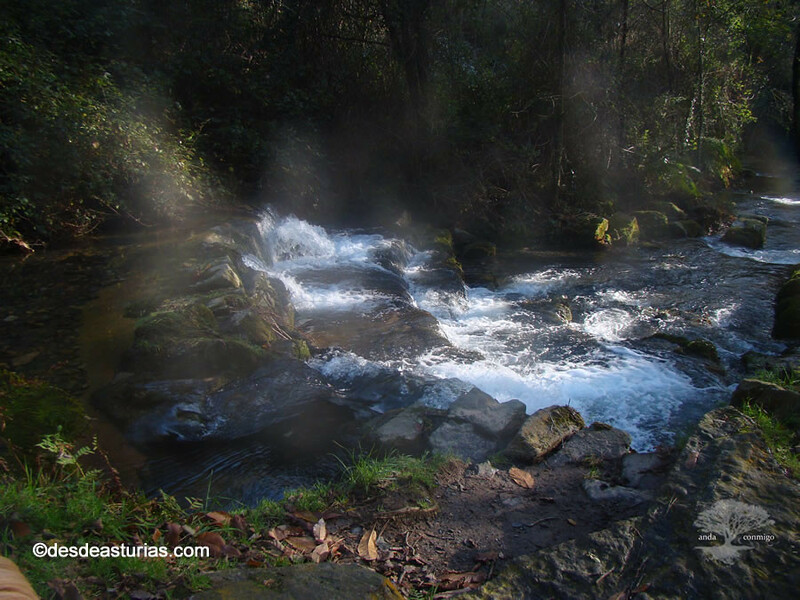 The itinerary signaled by the one that we have arrived ends here, in the waterfall of the Firbia. However, below this there are other two of lower height although not less beautiful: the Ulloa and the Maseirua. In the immediate surroundings of these the vegetation is still exuberant, with a leafy cover of ash and alder. There are many visitors who arrive at the first waterfall and few who find the path to walk down to the second. Reaching the third is more complicated, with a very dangerous downhill. So we admire it in the distance. 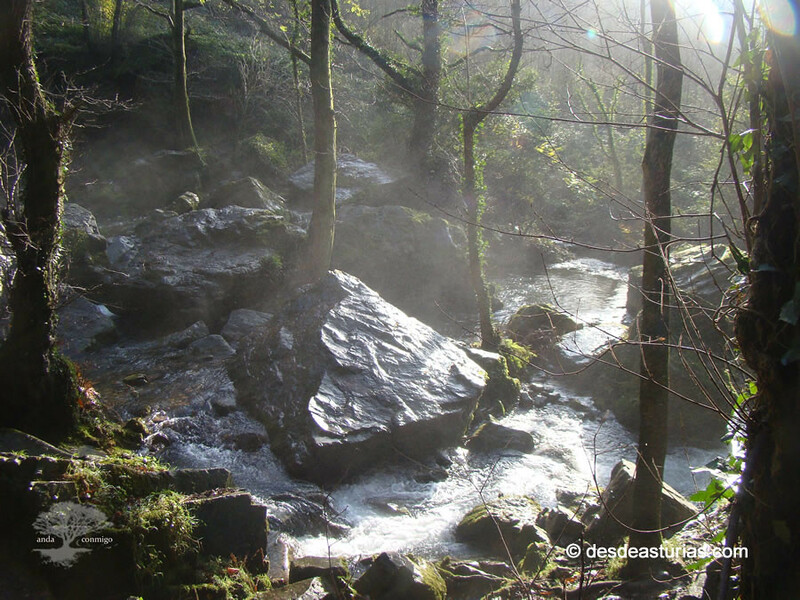 To find the second waterfall we have to accompany the river in its pleasant descent between pools and small waterfalls. The track ends here, and from now on it becomes an easy path in its first meters but less accessible once the waterfall appears. 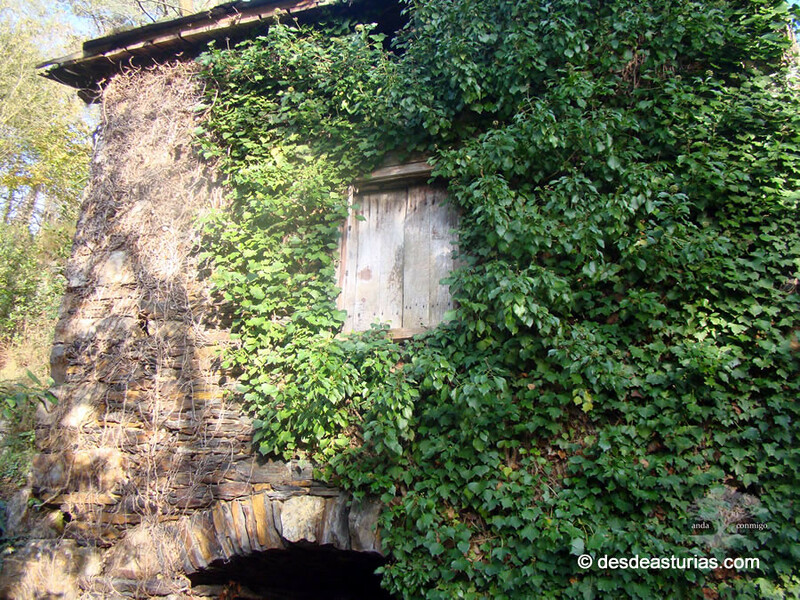 The track passes next to a water Mill abandoned that we can visit. With luck, in the course of the river we can see some otter, the most representative fauna of this ecosystem. It is not by chance, the presence of otters tells us clearly that the environmental quality of this environment is very high, and that well deserves its protection and the title obtained: Natural Monument of the Principality. 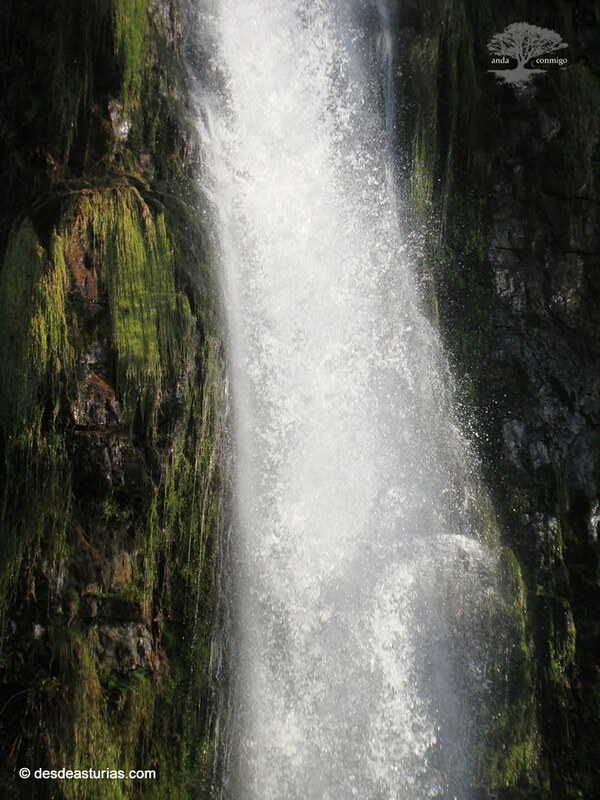 The route of the waterfalls starts from the village of Oneta, where it is accessed from the municipal capital, Villayón, through the Local Highway AS-36 that connects that population with Luarca. Its two kilometers of travel(round trip) that will take us one hour (round trip). The crossing that leads to the waterfalls has no loss, it is also a particularly suggestive route that first leads us to the head of the ravine. From Oneta, the route starts at the beginning between meadows and farmland. 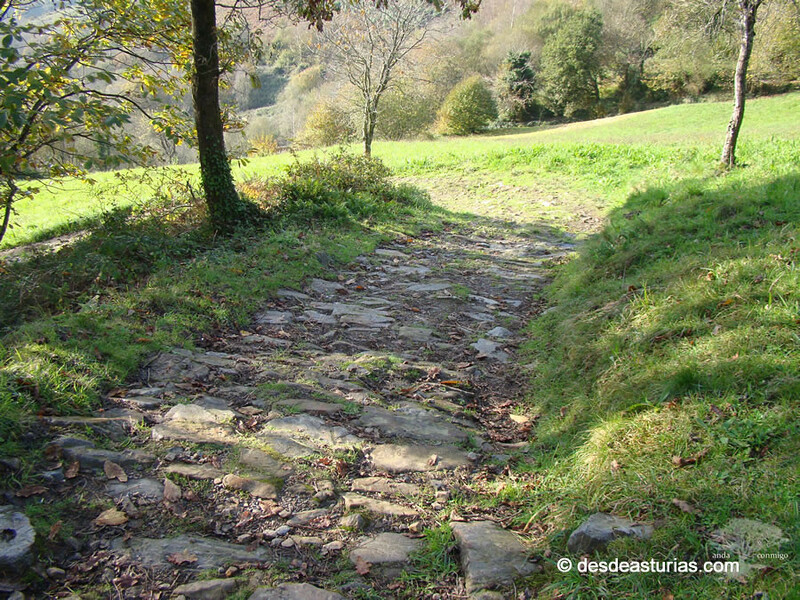 Then the road narrows and starts a steep descent that leads to the waterfall of the Firbia. 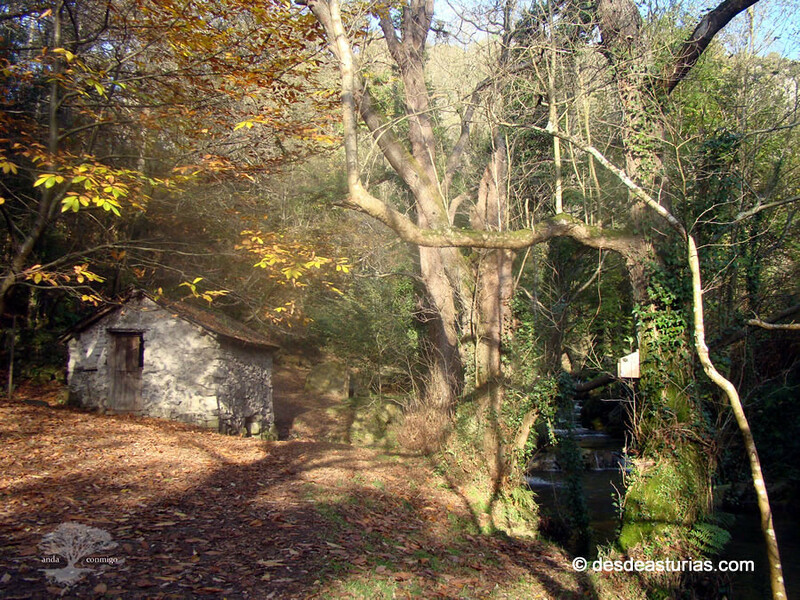 The route described, just over half an hour of comfortable walking, is part of the Network of Local Trails of the Principality of Asturias, with the key SL.AS-5, and it is properly signposted. Punctuation: 6.4. of 5 votes. 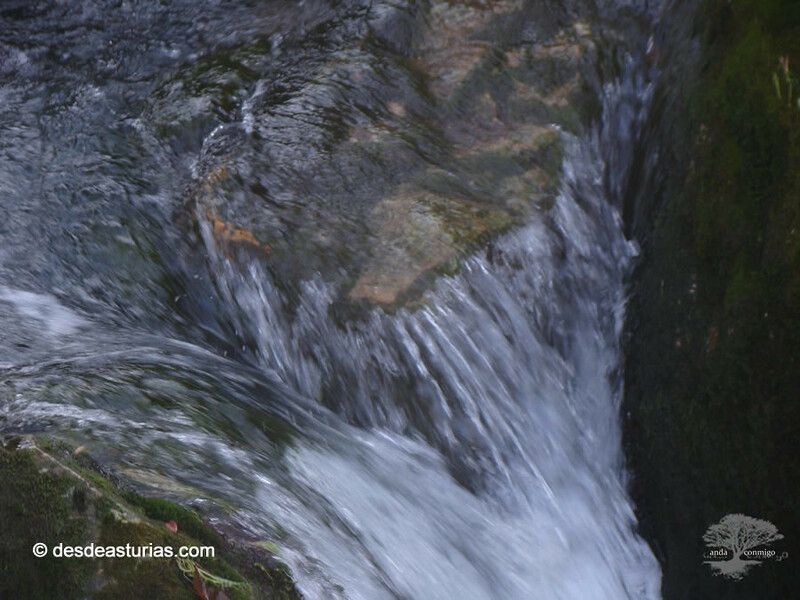 4 answers to "Oneta's waterfalls"